The entire time I was reading this book, I kept thinking "my mom is going to like this book - I can't wait to give it to her." As the wife of a retired Civil War history teacher, she's developed no small interest in the war herself. As a woman who enjoys reading about woman in history, I knew that she would enjoy reading this novel based on the true story of Elizabeth Van Lew who was posthumously inducted into the Military Intelligence Hall of Fame. I don't imagine many women, prior, perhaps, to this decade, can claim that distinction. Chiaverini brings to light Van Lew's remarkable story of passion and bravery woven into a detailed account of the Civil War in so far as it impacted the city of Richmond, Virginia. Having grown up immersed in this part of our history myself, I was impressed with Chiaverini's research into the military maneuvers. Much of the story centers around Van Lew's work with the Union prisoners in Richmond's prisons and Chiaverini gives the reader more then enough detail to grasp the conditions of the prisons and treatment the prisoners received without allowing the story to become maudlin. This being a work of fiction, I have no way of knowing how much of the spying Chiaverini has Van Lew doing in the book was real. So, of course, I had to do some research and discovered that most of the details regarding the spying included in the novel are accurate. I was aware, prior to this book, that there were spies during the war. I had no idea the extent of the network in the South. Certainly, there would have been people on both sides of the war who had allegiances to the other side but for some reason, I had never given much thought to what those people might have contributed to the success of the armies. Chiaverini does a fine job of telling Van Lew's story, capturing the emotions on both sides and the tension as the war dragged on. 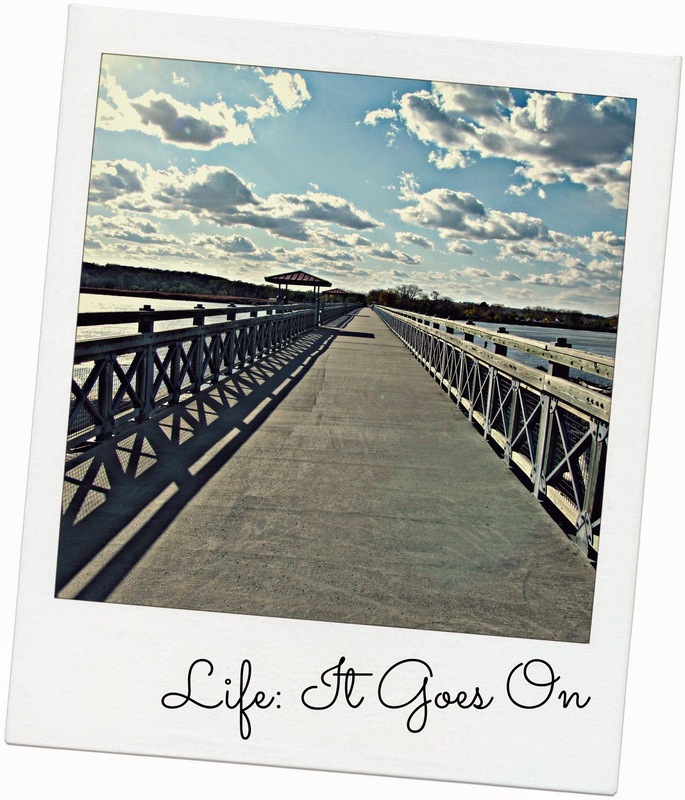 Occasionally I felt that things got a big repetitive and the story might have benefited from a bit more editing but some of that repetition served to remind readers of the roller coaster ride of hopes and despair Van Lew, her family and friends, and the citizens of Richmond experienced. For fans of the Civil War and those interested in books about women in history, I highly recommend this book. For other opinions about The Spy Mistress, check out the full TLC Book Tour. 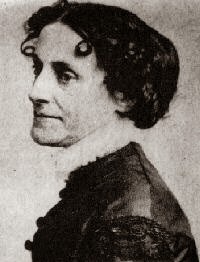 Chiaverini is also the author of Mrs. Lincoln's Dressmaker, which I reviewed here. 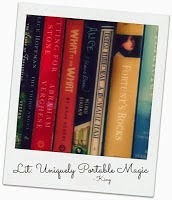 Thanks to the ladies of TLC Book Tours for including me on this tour! The most hated man in the most dour town in Scotland is sleeping with the fishes, or-more accurately-dumped into a tank filled with crustaceans. All that remain of the murdered victim are his bones. But after the lobsters are shipped off to Britain's best restaurants, the whole affair quickly lands on the plate of Constable Hamish Macbeth. Exiled with his dog, Towser, to the dreary outpost of Cnothan, Macbeth sorely misses his beloved Lochdubh, his formerly beloved Priscilla Halburton-Smythe, and his days of doing nothing but staring at the sheep grazing in a nearby croft. Now the lawman has to contend with a detective chief inspector who wants the modus operandi hushed up, a dark-haired lass who has an ulterior motive to seduce him, and a killer who has made mincemeat of his victim-and without doubt will strike again . . .
Highlanders are not known for being friendly to strangers, but even Hamish Macbeth is shocked by the suspicion and downright hostility he encounters in the village of Cnothan. His popularity does not increase when he must upset the status quo during a murder investigation! This is my fourth Hamish McBeth novel, actually the third in the series. I've said it before and I'll say it again, I have a bit of a crush on Hamish. Maybe, though, I have a bit more of a crush on him when I'm listening to the book and it's read with a Scottish brogue. Perhaps then I'm a bit more willing to accept Hamish's often curmudgeonly ways and his James Bondish way with the ladies. Although, in Hamish's defense, when he fell into bed with a woman he hardly knew, he was all a flutter about whether or not he should propose to her. How quaint. As always, it takes Hamish to solve a case his higher up has tried to keep him off. And, as always, he does it surrounded by a quirky cast of characters, in this case an entire village. 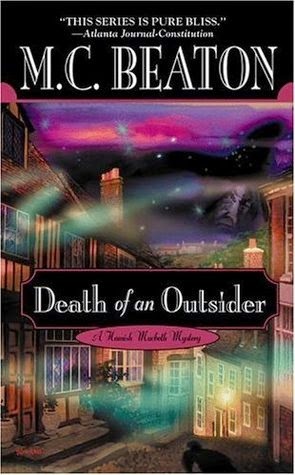 Beaton throws her readers plenty of red herrings and doesn't give readers all of the clues that might allow them to solve the mystery on their own. But she give readers enough hints along the way that the solution always seems perfectly plausible. As ever, M. C. Beaton and Hamish McBeth provided a satisfying read with everything I was expecting to find. Happy Memorial Day to those of you celebrating in the U.S. We had planned to visit the graves of The Big Guys parents and their families but it turned out not to be the best weekend to do that. So we've filled up our long weekend with all kinds of other fun things. Friday night was drinks and s'mores on the patio with friends, Saturday was a trip to Lincoln to spend time with my brother, his wife, my sister, and my parents, today will be brunch with many of the same cast plus my aunt and uncle and our kids, and tomorrow we have a party with friends. Much fun! In between, I'm working in some gardening, some reading, and quite a lot of baseball. Listening To: I've been listening to Sarah Addison Allen's Garden Spells but half way through it I think I've come to accept the fact that this book just is not for me. I believe Tuesday will find me starting Dave Eggers' What Is The What. Watching: Lots of season finales this week - Person of Interest, Mr. Selfridge, Survivor, and The Voice - and baseball, lots of baseball. 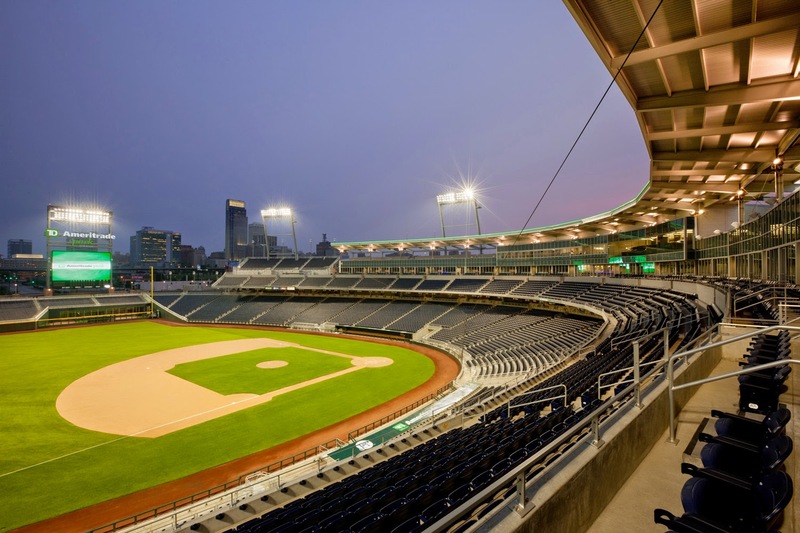 Omaha is hosting the Big 10 Tourney, setting attendance records daily and today will see our Huskers playing for the championship. 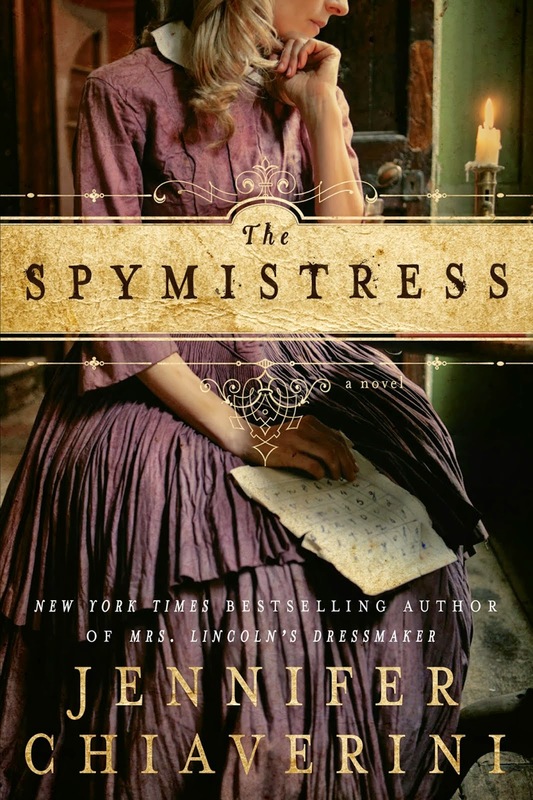 Reading: Jennifer Chiaverini's The Spymistress for review this week. Making: Pumpkin coffee cake and egg casseroles for brunch this morning, some new twists on s'mores, and lasagna. On the right is one of the signs I made for my mom for Mother's Day on barn wood my brother-in-law salvaged. My parents have a lot of gardens and family plays a role in several of them so the signs all have family meaning. Grateful for: All of the rain that's made things so green and all of the sunshine that's meant we could enjoy it. Loving: Mini-me and my nephew are taking their grandpa to the Big 10 Championship game today. I love that these kids are so close to their grandparents. Feeling: That walks around the lake are much more fun than walks around the track but walks around the track are much more productive. You don't have to keep stopping to listen to birds, wonder why some one's pet ferret seems to be living at the lake, and taking pictures. Thinking: Your kids may grow up but you never stop being a tiger mother. So angry that someone stole Mini-me's bike out of his garage. I just cannot understand why someone thinks it's okay for them to just come in and take something that someone else worked hard to get. Looking forward to: The first strawberries of the season - any day now! This installment of Laura Lippman's saga featuring Baltimore private investigator Tess Monaghan ) pits Tess and her big-hearted boyfriend, Edgar "Crow" Ransome, against their most dangerous foe yet: their principles. Sshhh...don't tell anyone but this is my first Tess Monaghan book. I do hate to read series books out of order but Lippman does a fine job of bringing the reader up to speed while not cluttering up this book with history from previous books. Audiobooks are hard to review - I can never remember names, I don't have quotes and the narrator can make or break the book. Edmond doesn't break the book but she doesn't help it much either. In her defense, a male narrator would probably have been a better choice; Emond struggled with providing a credible variety of male voices. Although this is a Tess Monaghan, it is definitely male-centric, with Crow and Lloyd Jupiter leading the way. Some things seemed a bit too coincidental, some things implausible, and trying to keep everything straight listening rather than reading was tricky. And given that there were eight Tess Monaghan books prior to this, I have to imagine that most of the books have a lot more Tess in them than this one does. They say you should write about what you know - Lippman knows, and clearly loves Baltimore and the city comes alive in her hands, both the gritty and the wonderful. And Tess, Tess is a character worth getting to know better. 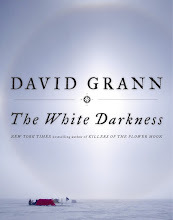 All of that boils down to this being a book I both enjoyed and found disappointing. I am certain I would have enjoyed it more had I read it rather than listened to it and I'm equally certain that I'll give both Lippman and Monaghan a second chance. We're heading into Memorial Day weekend and you know what that means, right? Besides thunderstorms to ruin your weekend plans? Or does that just happen here? Anyhoosie...it's time for all good book nerds to start thinking about what they want to read this summer! Flavorwire has a list of nonfiction reads for those who'd like to learn a little something this summer. 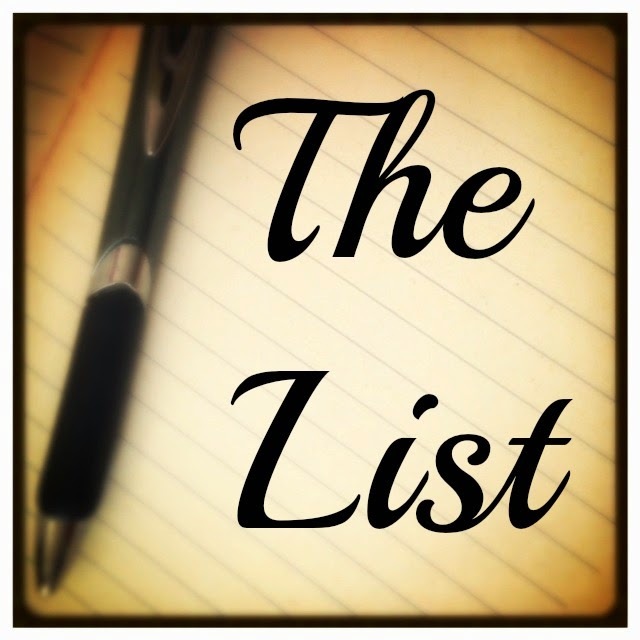 The list includes memoirs, graphic novels, a book about food, a book about book publishing and books about politics. In other words, something for everyone. I found Amazon's list of the 10 Best Summer Beach Reads on Huffington Post. Because you know I wasn't on the web page of the evil empire. Again, I digress. Of course, no beach reads list would be without the latex by Emily Giffin and Elin Hilderbrand, but it's not all traditional summer fare. The list includes John Green's The Fault In Our Stars (to get us ready for the movie, of course) and Robert Kolker's Lost Girls: An Unsolved American Mystery. Found Traveler's Today's summer reading list on author Lauren Oliver's Tumblr. It includes Armada by Ernest Cline (this should make Ready Player One fans happy! ), the latest from Stephen King and Anne River Siddons (how often do you see the two of them in the same sentence?) 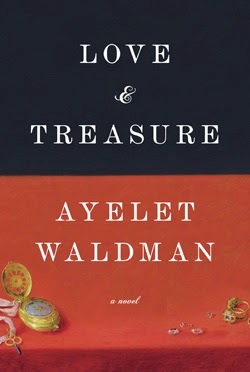 and Ayelet Waldman's Love and Treasure which is on my own summer reading list. I've got a couple of other review books scheduled for the summer months but I'll largely be trying to play catch up including some Elin Hilderbrand books I have on my Nook which will be perfect for vacation, at least a couple of books for the TBR challenge, some more mysteries, and Sarah Jio's latest, Goodnight June. Do you have plans for your reading this summer? Does your reading change with the seasons? What a week we've had for weather - Sunday night found us taking cover in my sister's basement because of a tornado warning and Thursday night we had a frost warning and had to cover all of our new plants. It's been cold enough this week that we had to turn the heat back on. Urgh! I had no intention of going AWOL on the blog this week. I had planned a review of The Goldfinch (including my parents' thoughts) but that just never happened. And there was meant to be a post about things to do in Nebraska and that didn't happen. And I have absolutely no excuse. I didn't entirely unplug but I certainly didn't spend much time on the computer last week. Listening To: I'll finish You Know When The Men Are Gone by Siobhan Fallon tomorrow then I'm not sure what I'll start. Watching: "The Voice" but not a lot else. I've actually convinced BG to leave the television off more and the quiet has been wonderful. 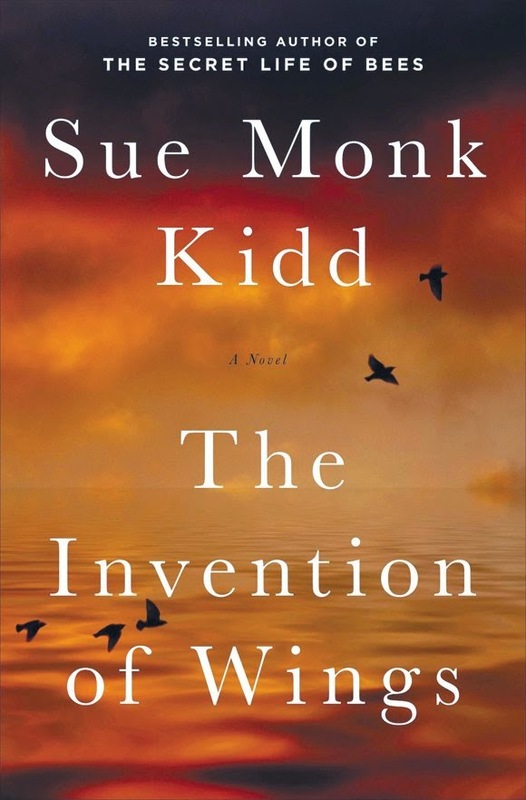 Reading: The Invention of Wings for book club this week. I also read Liane Moriarty's The Husband's Secret last week which I think would make a terrific book club selection. Making: Progress on the face lift to the front of the house. The Big Guy got all of the new lights installed and I got the chair painted. Love their new turquoise color! Still need to paint the front door. What do you think of this orange? Planning: Continuing work on the patio face lift. Plans are fluid but barn wood will be involved in some way. Grateful for: The more than 4" of rain we got this week; it certainly has turned my lawn lush and green. Loving: Playing in the dirt! Feeling: Anxious - I have been having the strangest dreams lately and I can't seem to shake the feeling they give me. Thinking: Of making a rhubarb pie today. I harvested the first crop yesterday and made some into sauce but still have just enough for one pie. Looking forward to: Book club! Life after divorce for Sarah Hurlihy used to consist as juggling her job as a preschool teacher with the demands of her interfering family. But after a rocky start, Sarah and John Anderson have shared six months of dating bliss. Now their relationship is basically on hold because Sarah's brother, Michael, and his dog, Mother Teresa, are staying with her. And John's new puppy, Horatio, hates Sarah. With a passion. Michael hopes absence will, in fact, make his wife Phoebe's heart grow fonder. 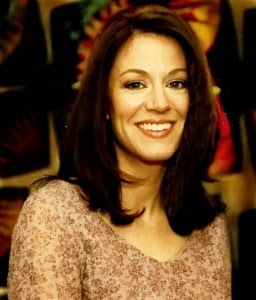 Sarah hopes she can do her sisterly duty and send Michael on his merry way before she ends up single again herself. John hopes Sarah and his puppy can work things out before it's too late. Sarah's bossy big sister, Carol, hopes both Michael and their father will start dating again. Sometimes it's good to be surprised by a book and sometimes it's good to get exactly what you expect from a book. Even if you've never read a book by Claire Cook before, when you pick up a book published by a company with "Beach" in its name, you have a good idea what you can look forward to. 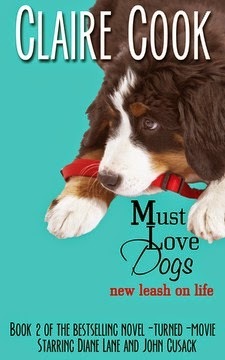 Must Love Dogs: New Leash On Life is exactly what you'd expect - a light read, filled with humor and, given the title, dogs. This time I felt much more like John and Sarah's relationship took a back seat in importance to the story about the Hurlihy family and that was a good thing. The family interaction was far more interesting. Perhaps because we have cats, not dogs, I had a hard time buying into the idea that a dog might actually come between two people so dramatically and that someone might put a dog they only just recently acquired ahead of a person they are developing a relationship with. Having seen the movie "Must Love Dogs" (starring Diane Lane, John Cusack, Christopher Plummer, and Elizabeth Perkins), I couldn't help but see those faces as I read their characters in this book. It was easy to imagine Elizabeth Perkins (Carol) whipping up to the airport, Dad and luggage in hand, read to take her siblings off on a long weekend to help try to solve problems each of them is having. Given that this book is also listed as Must Love Dogs #2, I can't help but think there are more books about the Hurlihy family on the horizon. Which is a good thing if you're looking for a quick, light read and even better if you prefer that book to feature dogs and a heroine who is hanging in there with a little help from her friends and family. 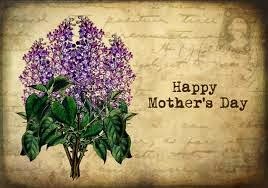 Happy Mother's Day to every woman who is, has been, is going to be a mother and to all of those who have been like a mother to a child. It truly does take a village to raise a child. We will get to celebrate with my mom, my sister and I'll get to have all three of my kids with us which is rare these days with their school and work schedules. We spent a lot of yesterday working outside undoing winter's damage and giving the front of the house a facelift, a project I hope the rain will hold off long enough for us to work on some more today. 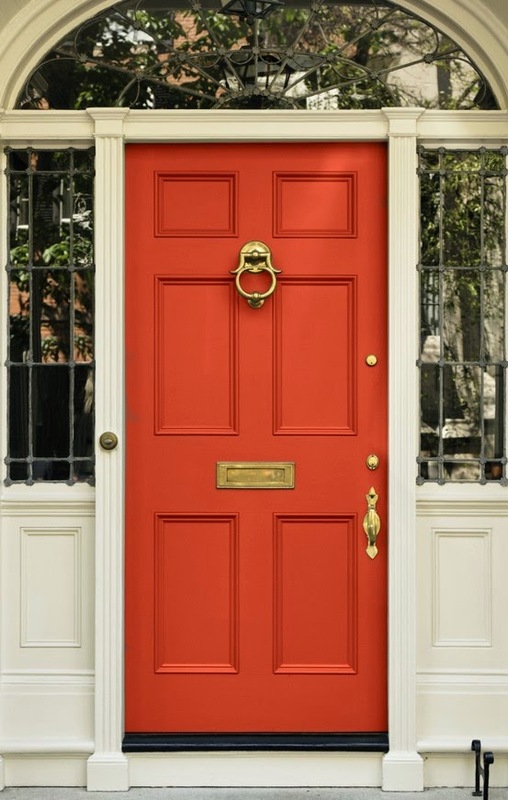 I'm still trying to figure out what color I want to paint the front door, though! The house is white, the shutters are blue and the light fixtures will soon be black. Suggestions? There used to be a tree in that front bed - so glad it's gone! Listening To: You Know When The Men Are Gone by Siobhan Fallon which I started on Friday. So good! Watching: "Orange Is The New Black" on Netflix. I wish my mother-in-law were still alive so I could talk to her about it; she worked in the women's penitentiary in Nebraska so she'd be able to shed light on how real it was. Reading: The Husband's Secret by Liane Moriarty. I haven't read a book set in Australia in a long time. What are you reading this week? Making: I've been very uncreative this week - although any week with chocolate chip cookies and guacamole is a good week. Planning: A facelift for my patio when the front porch is done including a bench we're going to make from barn wood and some store fixtures. Grateful for: Twenty-two years with my mom that I wasn't sure I was going to get when Mini-me was just a baby. Beyond grateful for these years! Loving: All of the rain we've gotten this week - it's turned everything so green and lush. Looking forward to: A trip to buy flowers this afternoon, time with my kids and time with my mom! But Rahima is not the first in her family to adopt this unusual custom. A century earlier, her great-great-grandmother Shekiba, left orphaned by an epidemic, saved herself and built a new life in the same way—the change took her on a journey from the deprivation of life in a rural village to the opulence of a king’s palace in the bustling metropolis of Kabul. Crisscrossing in time, The Pearl That Broke Its Shell interweaves the stories of these two remarkable women who are separated by a century but share the same courage and dreams. What will happen once Rahima is old enough to marry? How long can Shekiba pass as a man? And if Rahima cannot adapt to life as a bride, how will she survive? If you've been reading this blog for very long, you know how much I love books set in the Middle East. So it won't surprise you that I jumped at the chance to read this book set in Afghanistan. In fact, I'm not sure I read much further into the pitch than to find out where it was set. Add to that the fact that it's a book about women living in a country controlled by its men. To saw that this book is in my wheelhouse would be an understatement. For some reason, though, I had a tough time getting swept away with the book. Perhaps I've just read too many books recently with two different stories set in two different times that tie together. It's a style that doesn't always work for me, one story often overshadowing the other. That was not the case with this book, however. Both stories equally interested me but I very often had a hard time focusing on the story line I was reading, wishing I were reading the other story. For me, I think each of the stories would have made a fine book on their own and would have benefited from a bit more fleshing out. Still, it was interesting to have the two stories together, to see how little some things have changed in Afghanistan in 100 years. At least outside of the cities, it appears that the Taliban are not the only men who have very little respect for women. Sadly, the book doesn't give me much hope that women will ever be able to achieve anything approaching freedom, to say nothing of equality. Although it did take me some time to get involved in the book, I eventual found myself racing through it, nervous for Rahima and Shekiba as they tried to find their places in life and break free of the men (and women) who abused them. In the U.S., we like to think we're the good guys and that we're backing the good guys in other countries. Now, we know this isn't true, but we don't really want to delve to deeply into it. Hashimi makes readers look at the political workings of modern Afghanistan and question just who we've been backing over the years. Any book that makes me think and that teaches me as much as this one did is a winner for me. Thanks to TLC Book Tours for including me on this tour. For other opinions, check out the full tour. Helen and Rachel McCallister, who live in a town called Roam, are as different as sisters can be: Helen, older, bitter, and conniving; Rachel, beautiful, naïve—and blind. When their parents die suddenly, Rachel has to rely on Helen for everything, but Helen embraces her role in all the wrong ways, convincing Rachel that the world is a dark and dangerous place she couldn’t possibly survive on her own . . . or so Helen believes, until Rachel makes a surprising choice that turns both their worlds upside down. My family loves the movie adaptation of Daniel Wallace's Big Fish, so it was a no-brainer to accept this book for review when it was offered to me for review. Like Big Fish. The Kings and Queens of Roam is a tall tale filled with filled with larger than life characters both literally and figuratively, ghosts, curses, and magical waters. Roam is a dying town, built decades early by Elijah McCallister, great-grandfather of Helen and Rachel. Elijah is not a nice man, in fact he's a man who has made his fortune by cheating a man named Ming Kai out of the secret of making silk from silkworms and mulberry trees. When their very complicated relationship comes to an end, Ming Kai curses Elijah and his descendants. It also means the end of Roam which begins a long slow death. But Ming Kai and his descendants and those who follow him don't fare much better. "The" reviewers seem to love this book. I had mixed feelings. While I enjoyed the story very much, there were parts where I felt the story got bogged down and where I wasn't sure why Wallace had made the choices he made. There's quite a lot about loggers and their dogs and, while the dogs do come to play a part later, it felt like that part could have been trimmed. I did love the relationship between Rachel and Helen and was interested by my own reaction to Helen as the book went on. Wallace plays with readers feelings toward Helen. She lies for years to Rachel, telling her that Roam and the lands outside of it are evil and dangerous and tells Rachel that Rachel is ugly and that Helen is the beautiful one. My gut reaction was to despise Helen for making Rachel feel even worse about herself and for making her wholly dependent on Helen. But the more I thought about it, the more I blamed the girls' parents who were so remote - allowing Helen to largely raise Rachel and not to do more to make Helen feel better about herself. While a big reason for Helen doing was she did was purely spiteful, I understood a part of her deeply needed Rachel to remain with her, imagining that no one else would ever love her. 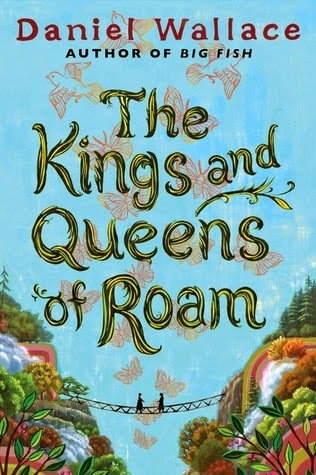 Ultimately, The Kings and Queens of Roam is a story of love, forgiveness and redemption which works because of the readers' attachment to key characters and a tall tale which works because of the fantasy world Wallace creates. 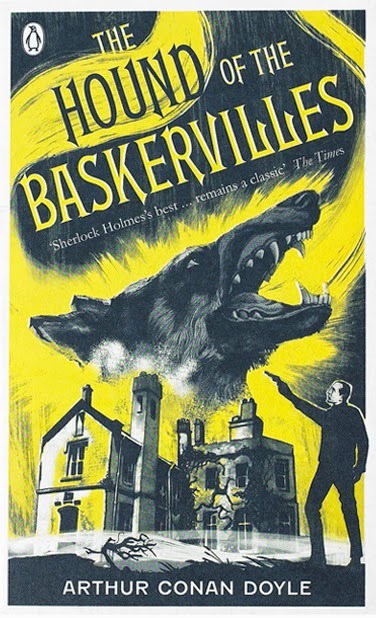 When Sir Charles Baskerville is found dead on the wild Devon moorland with the footprints of a giant hound nearby, the blame is placed on a family curse-and it is up to Holmes and Watson to solve the mystery of the legend. 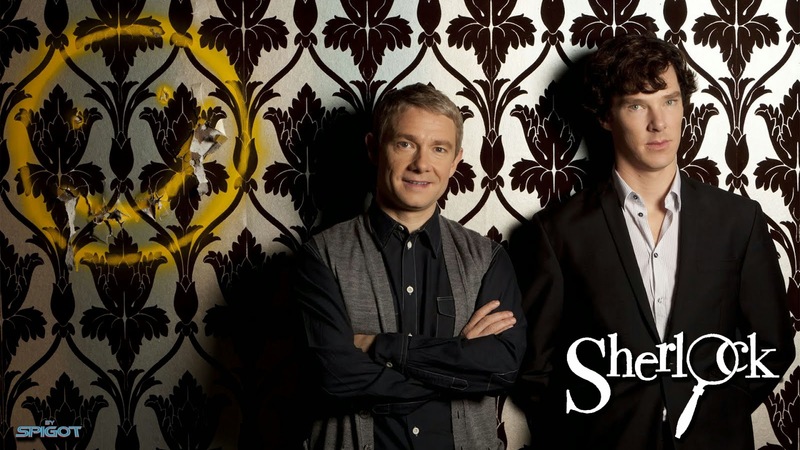 Rationalism is pitted against the supernatural and good against evil, as Sherlock Holmes tries to defeat a foe almost his equal. Four reasons: It's a classic. 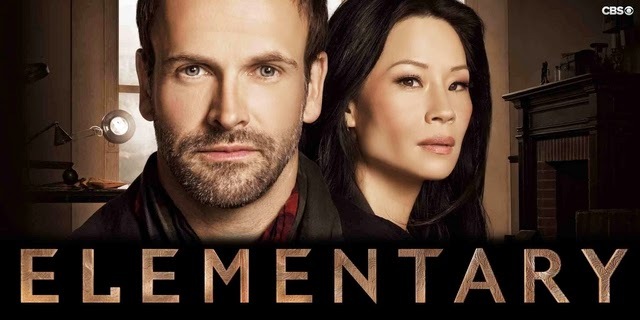 I was delighted to find, within the first few pages, that both "Sherlock" and "Elementary" have really gotten a good bead on Sherlock Holmes. He is that guy that's more than a little bit arrogant but has the goods to back it up. I can't say I was overly impressed with the truth about the hound; I'm no Sherlock Holmes and I figured that much out early on. Now how there came to be a hound killing people I did not figure out. I don't feel bad about that. Doyle did not write the book in a way that drops clues along the way for the reader to figure out if only the reader is smart enough. We're only along for the ride and it's a fast-paced, fun ride. You won't get much depth of character but then you can't except too much in 150 pages. Spring has finally sprung - the farmer's markets have started! Scheduled another staycation this weekend in Lincoln to coincide with the start of their downtown farmer's market which we haven't been to in years. Got to see an old friend who has a booth there, spend time with the Big Guy's sister and her granddaughter, and pick up a dozen plants including heirloom tomatoes, two kinds of basil and, for the first time, lettuce. Can't wait to get out this afternoon and yet our garden started. We were home three hours then headed out again to watch a baseball game with Mini-him and his girlfriend. Finished our night off with a stop at the coffee shop where Mini-me works. What a fun weekend we've had but time to buckle down today and get something done! 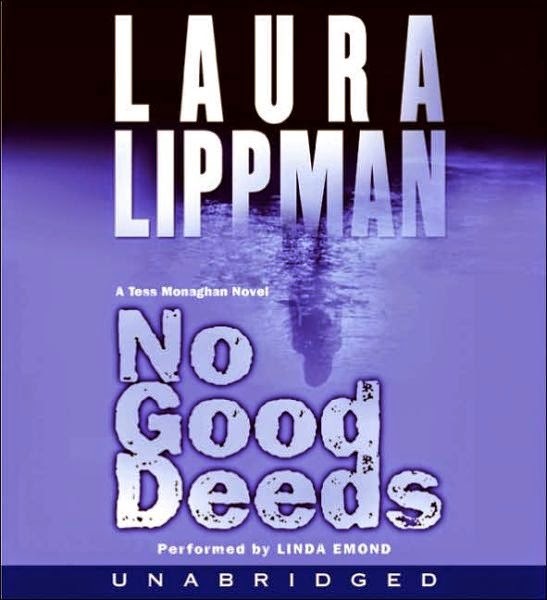 Listening To: Still listening to Laura Lippman's No Good Deeds. 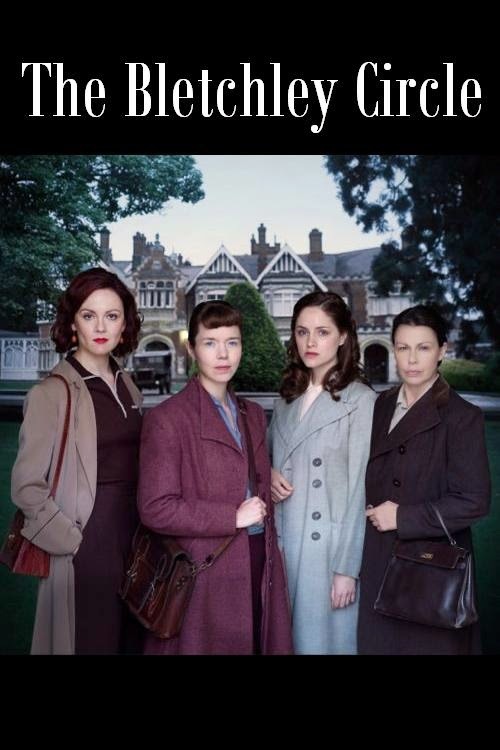 Watching: "The Bletchley Circle" and "Mr. Selfridge" on PBS on Sunday nights. 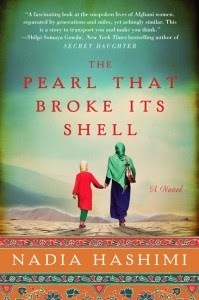 Reading: The Pearl That Broke Its Shell by Nadia Hashimi for an upcoming TLC Book Tours review. Making: Chicken, chicken - it was all about chicken this week. We had all of that chicken I made last week to use. Barbecue, salad, and sandwiches. I'm thinking it's time for some beef today! Grateful for: A lot of relaxing fun and and a lot of family time this weekend. Loving: Throwing windows open and knowing we'll soon be able to do that every day...until it's too hot. Feeling: Happy - the new summer clothes I've been buying are in smaller sizes! Thinking: I could make a fortune if I could figure out a way to make cats stop shedding. So. Tired. Of. Vacuuming. Looking forward to: Suppers on the patio, grilling, and flower shopping. Long-time readers will know that I have lived my whole life in Nebraska; except for about one year of it within a fifty mile radius of where I live now. Family keeps us here and I can't imagine that will ever change. In the cold, short days of the winter and the hot, hot days of the summer and the tornado season, I often wonder if family is enough to continue to suffer through all of that. And then the grass turns green and the birds return in the spring or the leaves change and football starts in the fall or the holidays arrive and we are but one hour from "home" and I know it is all worth it. If you don't live here, though, you may wonder what in the word (besides cheering on my Huskers! ), there is to keep us entertained. After all, we don't have any mountains or beaches. This week I want to share some of the things Omaha has to offer and the next edition I'll share things to do in Nebraska. 1. Henry Doorly Zoo - consistently ranked one of the top three zoos in the United States, our zoo is constantly growing and evolving. 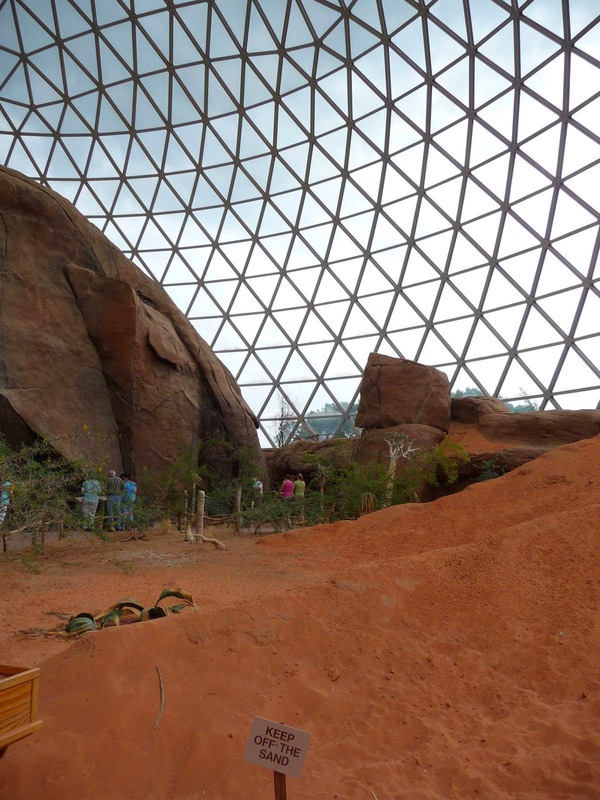 Set on the bluffs overlooking the Missouri River, the zoo includes a desert biodome (if you've watched the College World Series in years past, you've seen it in the background), a aquarium, an indoor rainforest. an aviary, a butterfly pavilion, and a chairlift. 2. Omaha boasts more restaurants per capita than any other major city in the U.S. There are a wide variety of ethnic choices, places serving food just like mom makes, great steak houses, and upscale restaurants that rival those in most cities. 3. Three rivers - that's right, three. Sure they aren't quite as impressive as Pittsburgh's three rivers but we've got them. 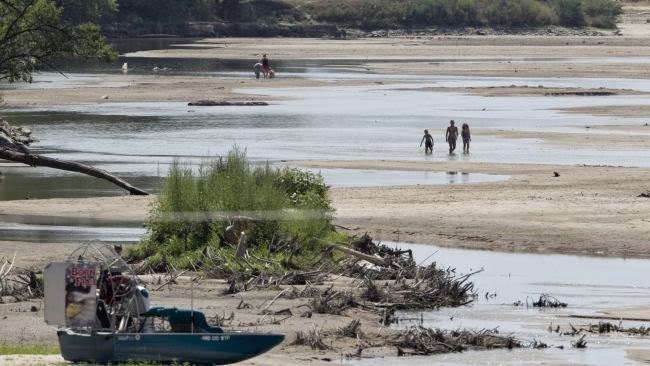 The Elkhorn is a fun river for tubing, the Platte is wider than it is deep and you can often walk most of the way across it on sandbars in the summer, and the Missouri is the river for boating. hockey, soccer, baseball, and basketball; and we support major sporting events such as the U.S. Figure Skating Championships in 2013, twice the U.S. Olympic Swim Trials (in 2016 we'll host for a third time) and, for twenty years, the College World Series. Also, we have a curling league which may not mean much to some of you but which I'm dying to get in good enough shape to join! 5. Music, music, music - no matter what kind of music you enjoy, you'll be able to find it here. Everything from a vibrant indie music scene to large outdoor concerts to a symphony to the top stars of every venue coming to town. In the summer we enjoy free concerts almost every weekend, indie music festivals, and Jazz On The Green every Thursday evening. 6. Art - Joslyn Art Museum is our pride and joy (home to works by most major artists including a Rembrandt that they just "discovered") and it's free. But it's by no means our only art museum and there are a lot of smaller non-museum venues that host art shows as well as several art festivals and the Bemis Center for Contemporary Art which boasts a residency program. 7. A vibrant, revitalized downtown including park space, restaurants, shopping (book stores, antique stores, a Russian import store, record stores, and clothing stores), a walking bridge across the Missouri River and giant slides! We're also seeing revitalization in other areas of town that are becoming big night spots. I have a guest room - you should come and visit!